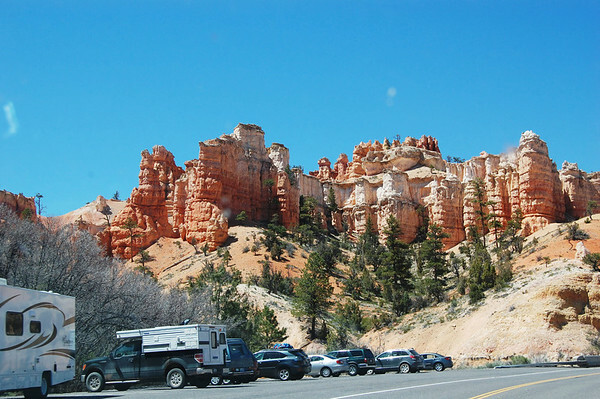 Today we visited a small section of Bryce Canyon National Park that isn't accessible from the main park road (Mossy Cave). 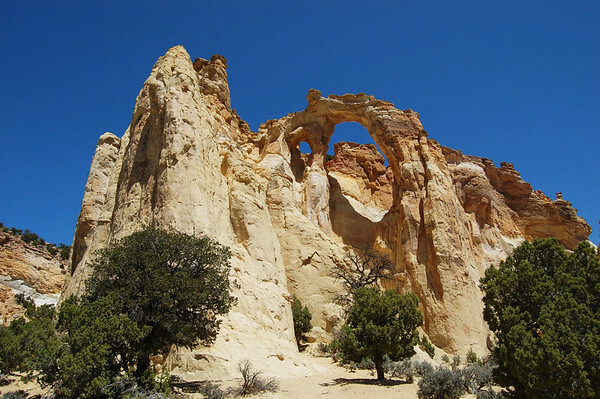 After a short hike and lots of photos there, we drove into the Grand Staircase - Escalante National Monument to see the impressive Grosvenor Arch before taking a quick drive through Kodachrome Basin State Park on the way back. It was a cold, but pretty day for more wonderful scenery. Somebody forgot to tell this area that it's Spring. Today, on May 1, our thermometer never got above 45 - that's 30 degrees cooler than the last two days - and the low tonight is predicted to be around 20. Yikes. In the late morning, we took a little drive. 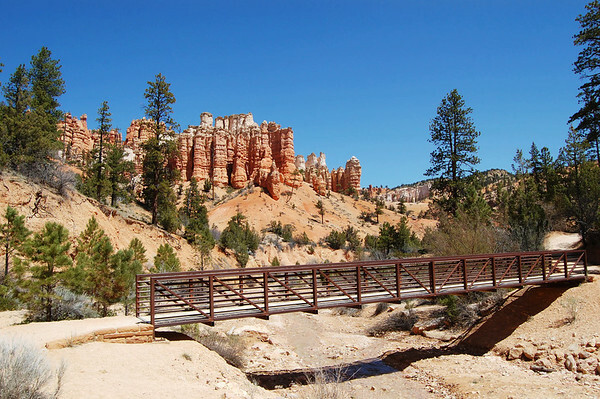 About five miles from our campground (four miles east from the Hwy 63 & 12 intersection) on Utah Hwy 12 is a small, separate section of Bryce Canyon National Park called Mossy Cave and Water Canyon. We hadn't really planned to go to this area as a "mossy cave" didn't sound all that interesting. 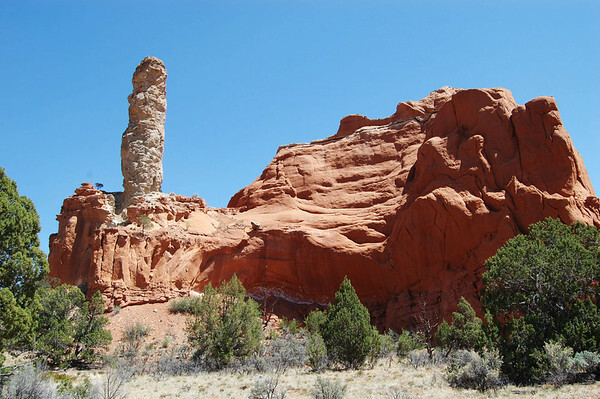 But since we decided not to do any more long hikes in the main section of the park, we thought we'd check out a couple of other area attractions. From the small parking area on Hwy 12, the sign says .4 miles to Mossy Cave. 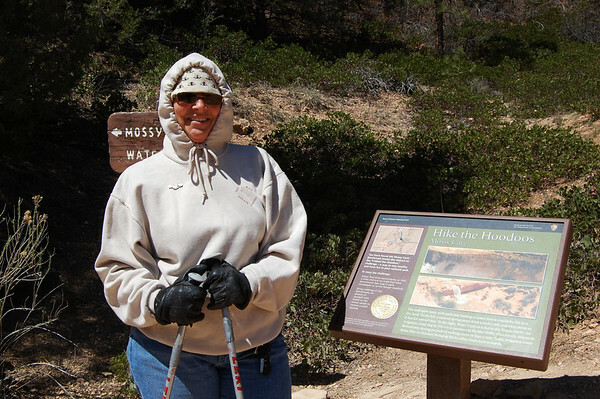 By the way, there is another "Hiking The Hoodoos" sign on this short, uphill trail. With temps in the low 40s and the wind blowing, we were bundled up today. At that intersection, we headed left on up the trail a very short way to Mossy Cave. 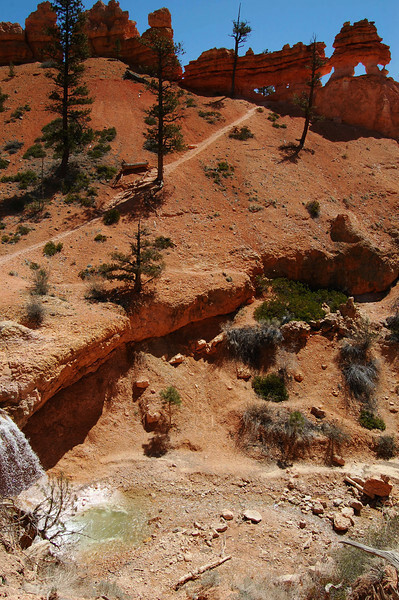 Here's the view looking down on the trail and stream from the spur to the cave. As mentioned before, Mossy Cave is a "shelter cave" rather than the fully underground cavern we often think of as a cave. 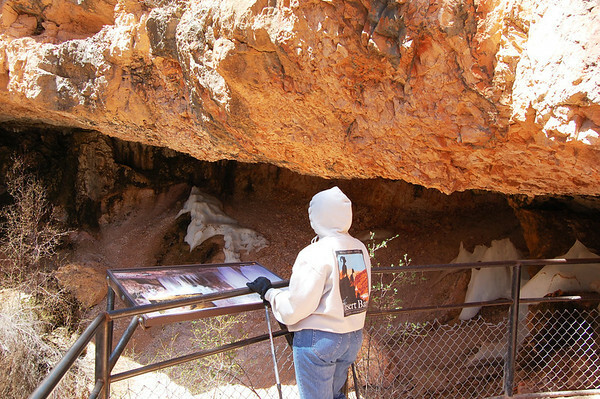 The "cave" isn't particularly impressive except snow and ice remain inside long after the white stuff has melted all around. 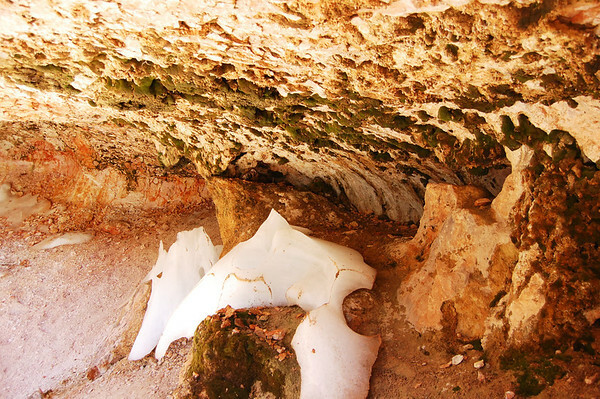 The cave remains cool and moist year round with water dripping from the ceiling and providing a good environment for the moss to grow. 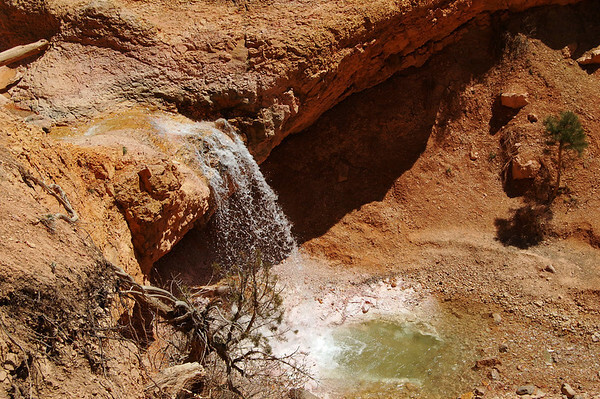 But the more interesting part of the Mossy Cave Trail is Water Canyon and the waterfall. You see, this water flow isn't "natural". 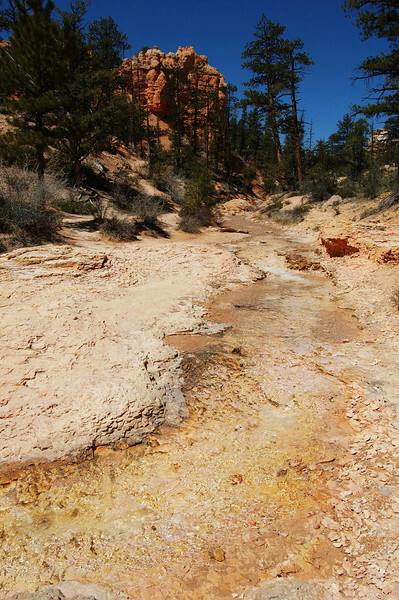 This stream bed was a dry wash which served as a channel for snow melt and rainwater to flow off the mountains. But it was dry when there was no rain and all the upper elevation snow had melted. 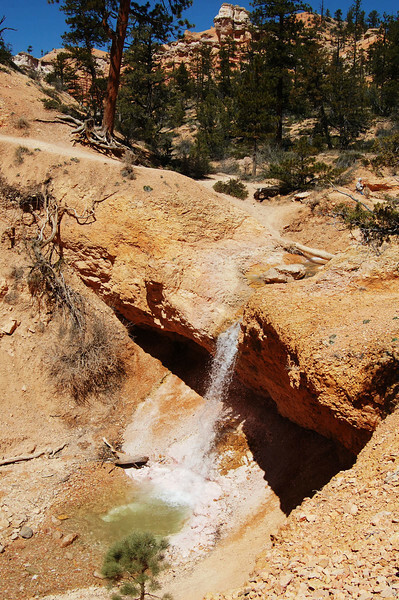 However, in 1890 - 1892 Mormon pioneers with hand tools carved a channel from the East Fork of the Sevier River into this dry wash so the water would flow into Bryce Canyon where it is still the irrigation water source for the towns of Tropic and Cannonville. Only once since 1892 has the "Tropic Ditch" been dry. On the ridge above the waterfall is an eroding fin full of windows. 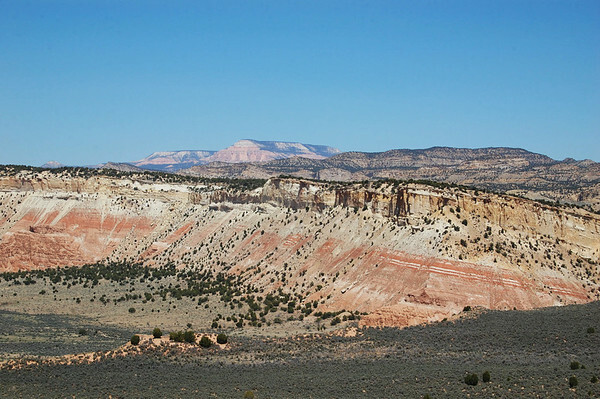 The formation can be seen from lower on the trail on the other side, but it's harder to get a full look without doing some scrambling off the trail. If it had been warmer, we might have hiked upstream and hung out for awhile. 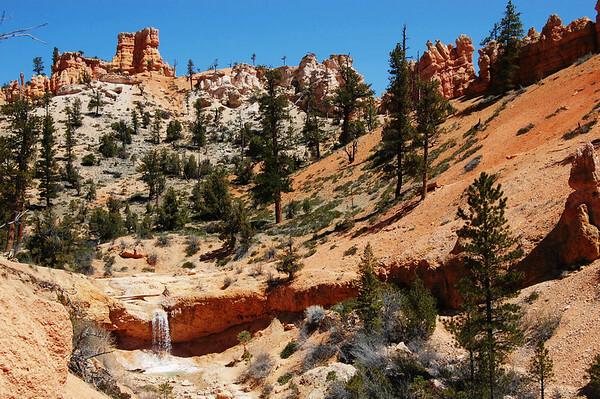 This was one place in Bryce where we felt like we could have enjoyed a little solitude with the added bonus of the sounds of a gently flowing stream. For an area of the park we hadn't planned on visiting, we were sure glad we checked it out. 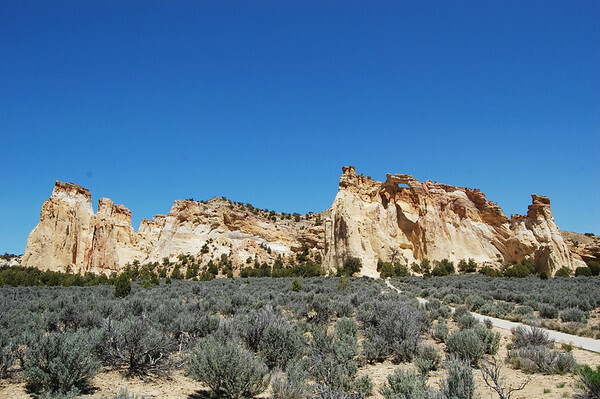 From Mossy Cave, we continued driving out Hwy 12 through the town of Tropic to the town of Cannonville. 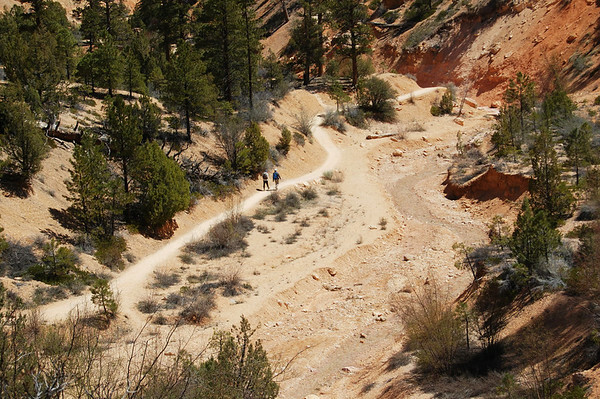 There we turned right on Main Street and followed the signs to Kodachrome Basin State Park for eight miles. At the end of the eight miles, we could have taken a left and driven another mile into the state park, but we opted to continue straight onto the dirt road - Cottonwood Canyon Road. 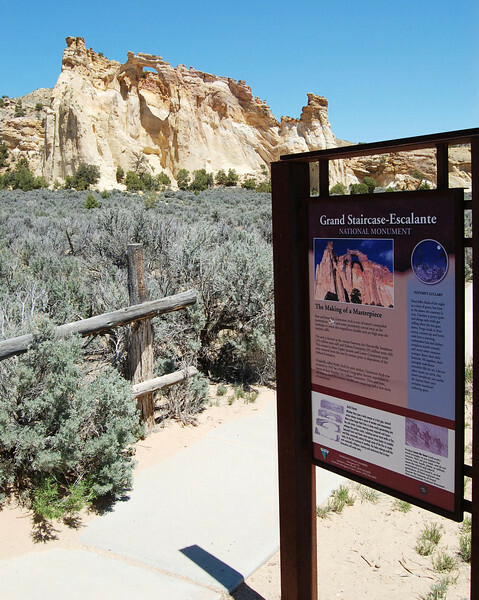 That took us into the Grand Staircase - Escalante National Monument - an area of 1.9 million acres of public land and the largest of all U.S. National Monuments. The road had some washboard sections, some rutted places, and a few cattle guards, but overall it wasn't too bad. As long as it is dry, pretty much any vehicle could make it (if you don't mind the dust). As the road climbed in one spot, we stopped to take a few pics of the colorful valley and mountains. After driving a total of ten miles on the dirt road, we turned left at the sign for Grosvenor Arch. It was another mile to the parking area at the arch. 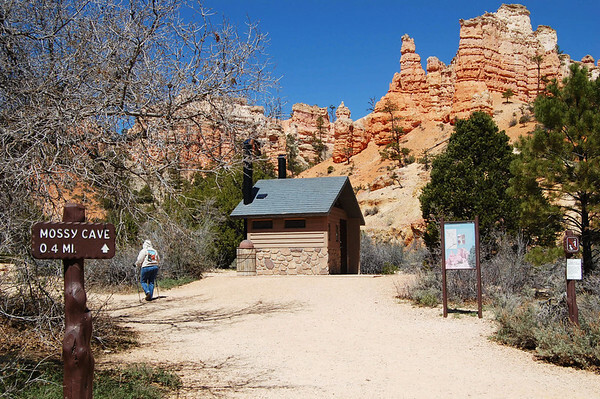 There is a restroom and a short, paved path out there in the middle of nowhere. which is actually an impressive double arch. And once you make the drive, it's a really easy walk to get up close. Many of the great arches in the U.S. take a bit more human power to get that close. 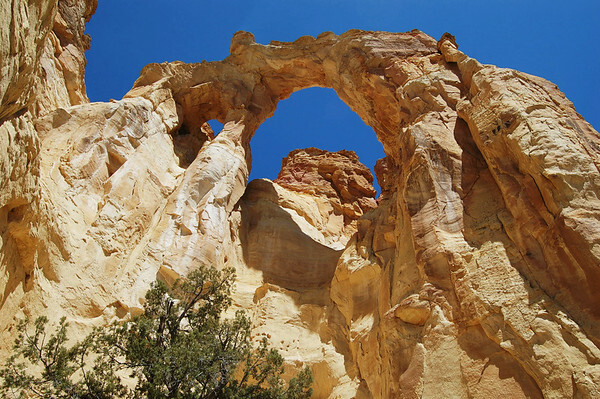 This arch was named after Gilbert Hovey Grosvenor, the first full-time editor of National Geographic Magazine and a president of the National Geographic Society. 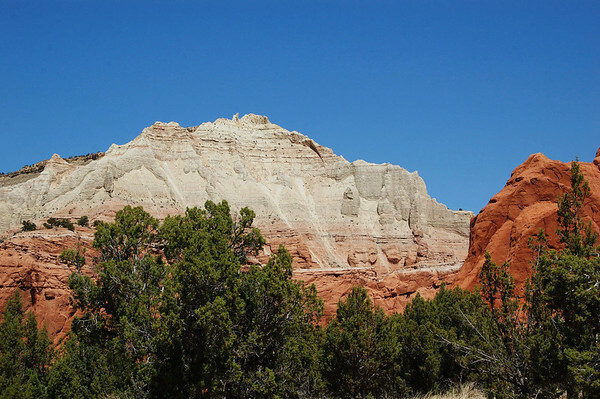 A National Geographic expedition to the area in 1948 named the arch and named Kodachrome Basin. We didn't stick around long and headed back the way we came. One more photo along the road. 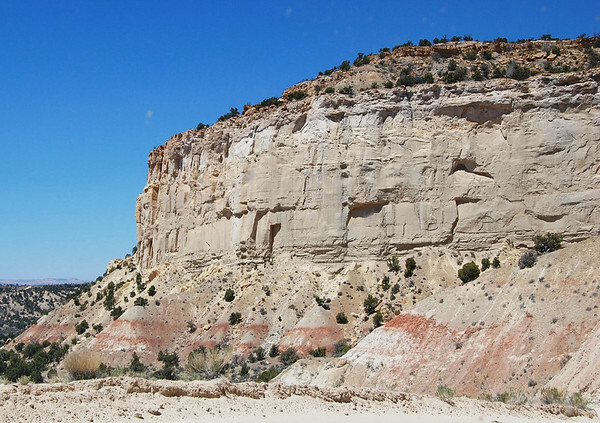 When we reached the pavement, we turned into Kodachrome Basin State Park for a quick drive-through. We paid our $6 entry fee and drove through. 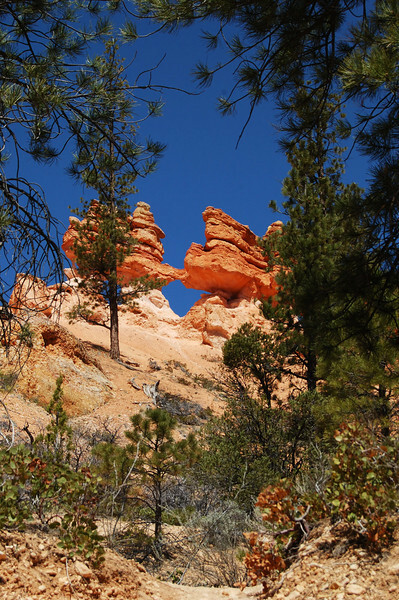 It's certainly a pretty place with what looks like some interesting hiking trails. And the best part is ... it's out in the middle of nowhere. but we didn't stick around to do any hiking. 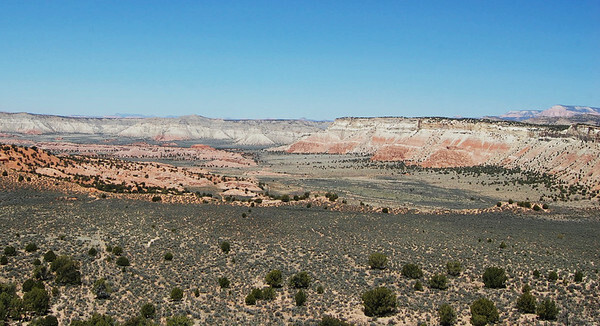 Next time we're in the area, we'd certainly consider staying at this state park for a few days to relax and hike most of the trails. Back at Hwy 12, we considered continuing on to the east, but decided to just return home. Here's a shot of the Mossy Cave parking area as we drove by. That little four-mile section of highway back to the main park road is quite pretty. So, that was a great day of auto-touring with a couple short hikes/walks mixed in. 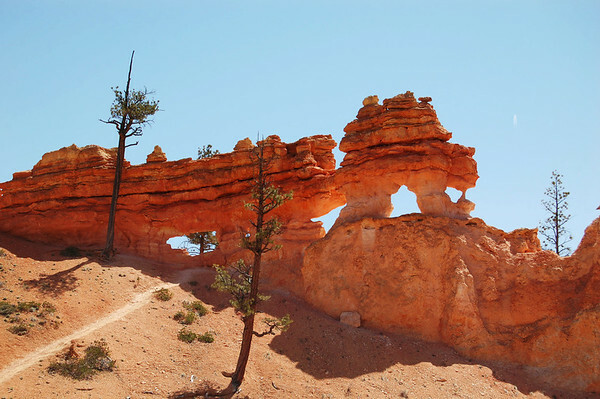 No doubt about it, the Bryce Canyon area is one of the prettiest areas we've ever seen.